Method acting school secrets are Sarno's acting workshop's specialty. The Stanislavsky system is the key, and Sarno also spent over six years at the Actor's Studio and four years as famed method acting instructor Lee Strassberg's live-in protege'. 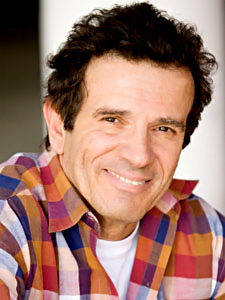 He has studied and integrated the teachings of Peggy Fury, Stella Adler, Sandy Meisner, Viola Spolin and others througout his 30 years as a twice nominated actor and director using his fast result method acting techniques in his own on-screen career, and has taught them to over over 3000 acting classes. Sarno appeared in major TV shows like NYPD Blue, studied in New York City as an actor at the Lincoln Center Repertory Theater under Arthur Miller, Elia Kazan, Harold Clurman and Jose Quinterro and, after receiving his golden globe nomination for the Most Promising Newcomer in Hollywood, he began studying for the next six years at the Actor's Studio where he studied under Peggy Fury, Bruce Dern, Lee Grant, Sidney Pollack and ultimately was brought to the attention of Lee Strasberg who granted him a scholarship and invited John to live with him as his only protege while attending the Lee Strasberg master class which was held at the Lee Strasberg Theater Institute. He has coached over 500 students in both starring and co-starring roles. An Academy Award nomination and Emmy Awards were given to his students. Kpower 106, KJOI, Chantele Westerman, KHJ, Channel 9 News, and other talk shows interviewed John to inform people about what to do in acting. The Virginia Beach Shakespeare Festival hired John to organize out-of-town seminars. Yes, I want a Newsletter!